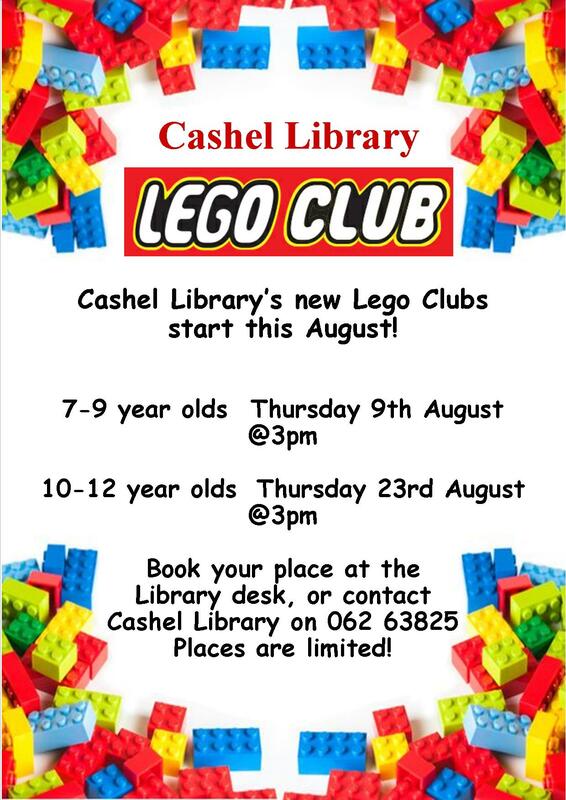 Cashel Library’s new Lego Clubs start this August! The 7-9 year olds will start on Thursday 9th August @ 3pm and the 10-12 year olds on Thursday 23rd August @3pm. Places are limited, so book your place at the Library desk, or contact Cashel Library on 062 63825.